Yields on the German government's benchmark 10-year bonds just entered negative territory for the first time ever, as nervous investors try to park their money in safe-haven investments. The yield on the bonds -- which is the return investors get for lending Germany money -- sank to minus 0.01% on Tuesday. 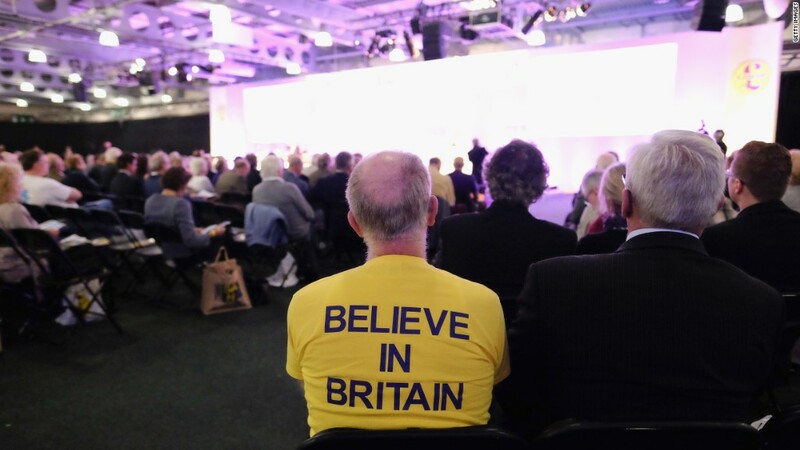 Traders are putting their cash into something that is essentially a money-losing investment, due to rising concerns that the British public will vote to exit the European Union during a U.K. referendum on June 23. A vote in favor of a "Brexit" is expected to have a huge negative impact on British and European jobs, trade and markets. German bonds are considered a safe bet during turbulent times, because of the very low risk that Europe's biggest economy would default on its debt. 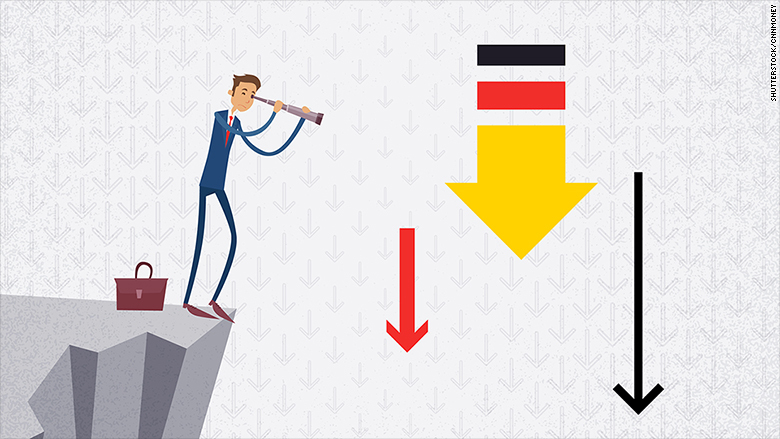 "You can rely on the Germans not to go on a borrowing spree and fritter away their savings," explained Chris Beauchamp, a senior market analyst at online trading firm, IG. German bonds are "a place to wait out the storm," he said. But the threat of a Brexit isn't the only reason behind the recent market move. Bond yields in Germany -- and many other countries -- have been sinking for years thanks to low inflation, low economic growth and low interest rates. Investors seeking a safe investment have seen their options erode, as credit agencies lower their ratings on a range of debt issued by companies and countries. That's pushed investors to clamor for the few remaining "safe" bonds with the best ratings. Switzerland and Japan, which also have strong credit ratings, have been offering negative yields on their key 10-year bonds for some time. Many short term German bonds entered negative territory last year. 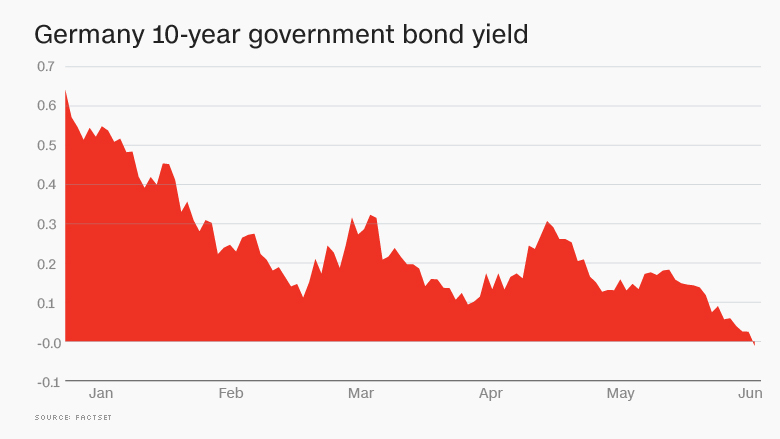 Yields on Germany's 10-year government bonds have been sliding for years. The negative trend has been exacerbated by extraordinary moves by the European Central Bank, which launched a massive bond-buying program last year to prop up the struggling European economy and boost inflation. This bond-buying -- and the introduction of negative interest rates -- drove down European bond yields further.